도자기는 흙으로 빚은 그릇을 구워내는 방법에 따라 도기(陶器), 자기(瓷器)로 나누어 지는데, 백토 등이 혼합되어 높은 온도에서 구워낸 그릇을 사기(자기)라 한다. 사기장이란 사옹원(司饔院)에서 사기를 제작한던 장인을 일컫는 말이다. 우리나라 도자기는 고려시대부터 천하제일의 비색청자로서 그 명성을 떨쳤다. 조선시대에는 국가기관인 사옹원(司甕院)에서 자기를 제작하였는데, 경기도에 분원을 설치하여 왕실에서 사용하는 자기를 특별히 제작하였다. 조선 후기 관요(정부 관리하에 도자기를 만드는 곳)가 폐쇄되면서 도공들이 문경, 괴산, 단양 등 지방으로 흩어져 민요(민간에서 도자기를 만드는 곳)가 번창하였다. 사기의 제작과정은 사토를 채굴하는 것부터 구워내는 작업까지이다. 우선 모래흙(사토)을 구한 후 물에 넣어 이물질을 제거하는 수비과정을 거친다. 이 과정이 끝나면 순수 흙으로 그릇의 형태를 만드는 물레작업을 한다. 만들어진 그릇을 가마에 넣고 초벌구이와 유약을 바른 뒤 다시 재벌구이를 해서 구워낸다. 전통적인 나무로 만든 발물레를 시계방향으로 회전시키는데, 이러한 물레 돌리는 방법이 한국 도자기 장인들의 기술이다. 사기장은 서민적이면서 활달한 조선분청사기와 단아한 선비의 향을 담고 있는 조선백자와 같이 한국적 정감과 멋을 나타내는 전통공예기술로서 가치가 매우 높다. 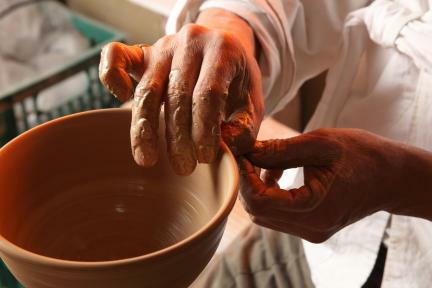 Earthenware is divided into ceramics and porcelain, depending on how clay-made objects are baked. 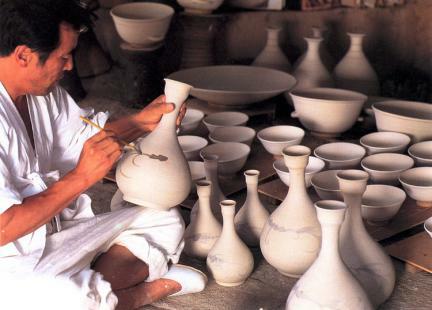 An object mixed with white clay and baked at a high temperature is called china or porcelain. 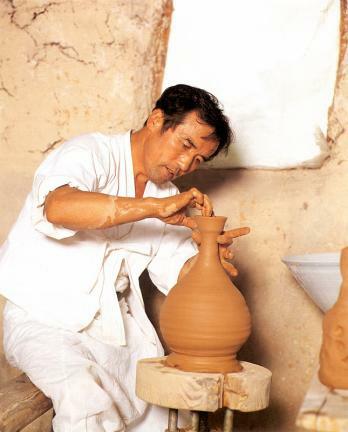 Sagijang refers to this skill or to an officially recognized artisan with such a skill. 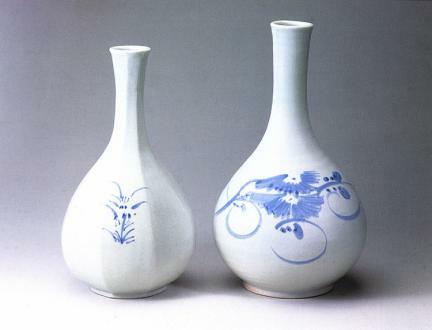 Ceramics and porcelain, particularly blue porcelain made during the Goryeo Period (877 – 1394) and thereafter are recognized as the best in the world. 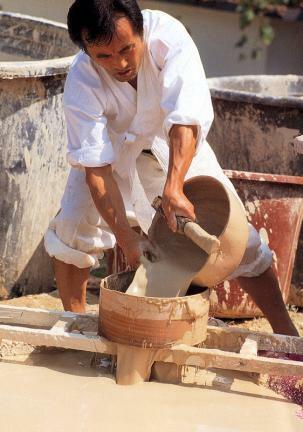 During the Joseon Period (1392 – 1910), Saongwon (Palace Kitchen Management) was in charge of porcelain production. Its branch in Gyeonggi-do made special objects to be used by the royal family. 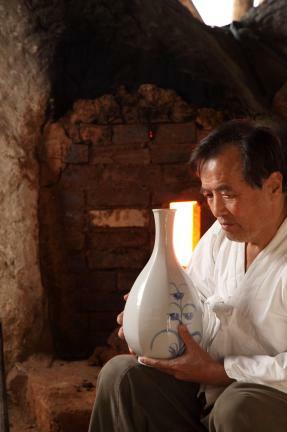 The government-run porcelain kilns were closed toward the late Joseon Period, following which porcelain artisans started private businesses in Mungyeong, Goisan, and Danyang. As for the process of china production, first of all, sandy soil is put into water to remove foreign materials. 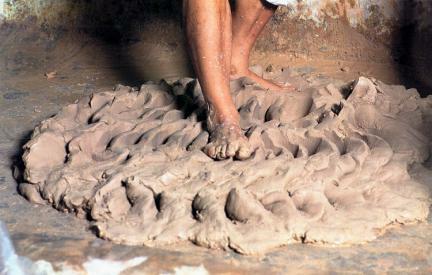 A desired form of is made with the soil, using a foot-operated spinning wheel. The object is then put into a kiln for pre-firing. 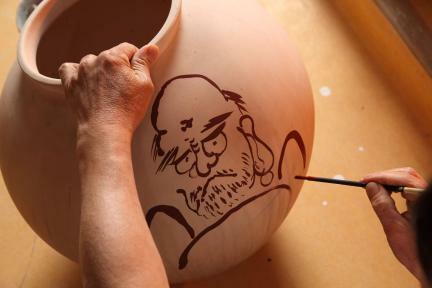 Glaze is applied to the pre-fired object, and it is again put into a kiln for second firing. Experts say that grayish-blue-powdered celadon of Joseon evokes a folksy and lively feeling, while white porcelain evokes the character of a gracious scholar.